With TV shows like “Hoarders” and “Animal Hording”, hoarding has become a growing issue in American culture. Approximately 3% to 5% of the U.S. population has a hoarding disorder. This disorder may affect a small percentage of individuals, but it can have a ripple effect on families, neighbors, and HOA’s. Hoarding, or excessive contents, is a chromic disorder that gradually worsens over a period of time. Usually this is sparked by a traumatic event, like a death or separation of some kind; or can be due to a genetic disorder. This will heighten the anxiety in the individual and encourage the need to hold-on to important items as though they were family keepsakes. 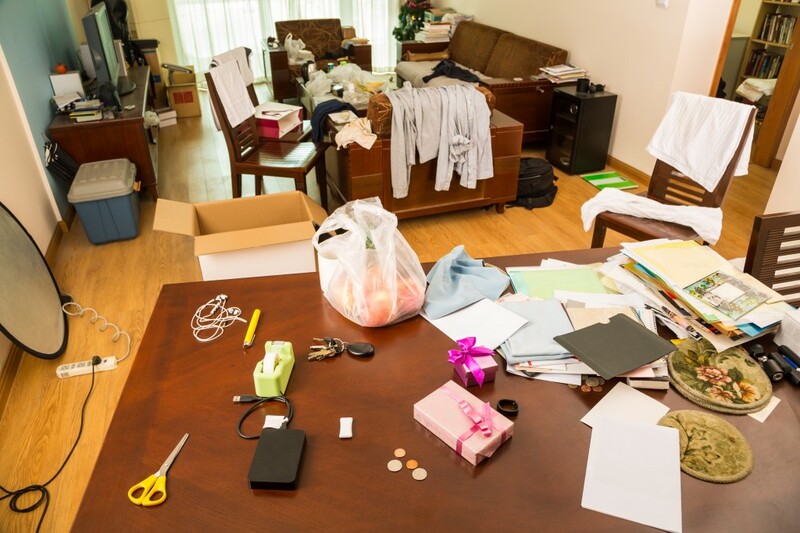 In the past, hoarding has been a secretive, shameful disorder leaving families and property management companies perplexed on how to appropriately handle. Most HOA’s or Property Management companies address the issue when the hoarding begins with effect the neighboring properties, either due to smell, pests, or aesthetics. While some property managers and HOA’s are able to work directly with the homeowner to cleanup, others are left to apply for court orders. Hiring a professional cleanup company will address the various difficulties with excessive content residences. Most hoarder residences are infested with rate, mice, and roaches, as well as a breeding ground for mold. Professional cleanup companies will have appropriate respirators and face masks to protect the workers living within the residence. This will also protect against any biohazard exposure. It is important for the cleanup company to separate the items between Keep and Trash. Items being kept will need to be sterilized as well we inventoried to ensure their safe return. Items that are soiled, broken, or that the homeowner can separate with should be moved to Trash. Although necessary for health and personal safety, having a professional clean-up will induce intense pain and suffering for the individual. This can make for an extremely stressful work environment as the homeowners anxiety will be heightened. All items need to be handled with care, and have their involvement, to ensure a successful cleanup. Cleaning out the residence does not address the anxiety disorder for the individual, and will need long term treatment. The amount of the individual’s involvement can effect the overall pricing of the project. If the homeowner is extremely involved in each Keep or Trash decision, this will increase the length of the project. If the homeowner’s involvement is minor, then the project can move at a much quicker pace. The homeowner’s involvement is sometimes addressed in the court order, but may also be negotiated with the Property Manager or HOA representative. Once the items are removed and separated into Keep or Trash piles, the structure will need to be analyzed. If there are pests, soiled flooring/drywall, mold, asbestos, biohazards, or smells, the cleanup company will need to address these issues. Depending on the severity, they may recommend abatement, drywall removal, or ThermaPure Heat. At Alliance, we bring homes and properties back to a safe a livable condition while being attentive and respectful to the underlying emotional realities of the situation. Our professional cleanup teams work efficiently and properly to clean and decontaminate the home in a discreet manner so that people are able to return into a usable living space as quickly as possible. The disposal process involves our team managing the disposal of individual items with the homeowner in a respectful way and work with content companies to clean salvageable items.